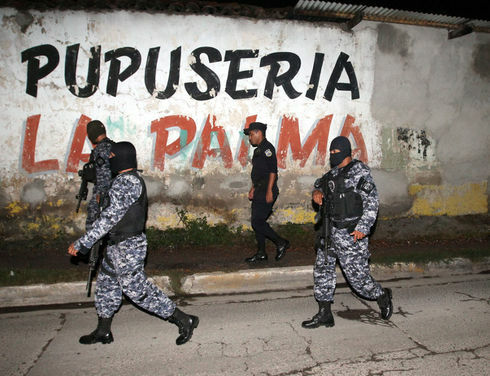 SAN SALVADOR, January 27th, 2016 (Reuters) The U.N. on Monday announced a U.S.-financed pilot program to help fight corruption in El Salvador, a Central American country so torn by drugs and gang warfare that it ranks among the most violent in the world. The three-year program, with an unknown price tag, will support the government of leftist President Salvador Sanchez Ceren but lacks the broad investigative powers of the U.N.-backed International Commission against Impunity in Guatemala (CICIG). The CICIG was instrumental in gathering evidence that Guatemalan President Otto Perez was part of a customs racket, leading to his resignation and eventual arrest last year. His fall triggered calls for similar anti-corruption units in other Central American nations, but the prospect of facing the same fate as Perez has made neighboring governments wary. “This is not CICIG,” said Monica Mendoza, who will coordinate El Salvador’s effort, which was agreed by the government and the United Nations Office on Drugs and Crime. She said the project will not investigate cases itself but will work with existing institutions and provide technical tools to support their work. The United States last autumn tried and failed to convince El Salvador to set up a commission similar to the one in Guatemala. Instead, the government agreed to a less powerful $25 million anti-corruption program from the U.S. Agency for International Development. The USAID program is separate from the one announced Monday. A commitment to fighting corruption is likely to influence how much aid money Washington offers to help revitalize Central America — one of the world’s poorest and most violent regions — and stem the flood of child migrants from the region. Violence has risen steadily in El Salvador since a 2012 truce between the country’s two main gangs began to fall apart in 2014. Last year was the most violent on record, with a 70 percent increase in murders over the previous year. The homicide rate is more than 103 per 100,000 inhabitants, making the country of 6.4 million among the most violent anywhere, according to Insight Crime, a foundation that analyzes organized crime. Now, perhaps, the U.S. government can do something with the corruption between elected representatives and lobbyists!